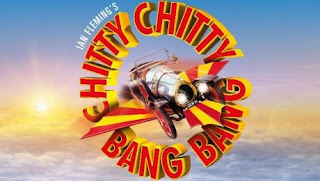 Claire Sweeney will play the role of Baroness Bomburst in Music & Lyrics and West Yorkshire Playhouse’s production of the much-loved Sherman Brothers musical CHITTY CHITTY BANG BANG, from Wednesday 3 August 2016. The production is touring across the UK and Ireland until February 2017. Michelle Collins, who currently plays Baroness Bomburst, leaves the production on 30 July 2016. Michelle Collins said, "I will be really sorry to leave the fantastic CHITTY CHITTY BANG BANG tour after my dates at the New Wimbledon Theatre and seven months on the road. I love playing the all singing and dancing Baroness Bomburst, but have been advised that the knee problem I have been managing along the way will not fully recover if I carry on for the rest of the 14-month tour. I wish Claire Sweeney every success when she takes over the role this summer." On television, Claire Sweeney began her career as Lindsey Corkhill in Channel 4’s Brookside and appeared in the first everCelebrity Big Brother in aid of Comic Relief. She also appeared in the very first Strictly Come Dancing on BBC 1 and has been a regular panellist on ITV's Loose Women. She could also recently be heard hosting her very own weekly musical theatre-themed show on Magic FM. In theatre, her many roles have included Roxie Hart in the musical Chicago in London’s West End, Miss Adelaide in Guys and Dolls at London’s Piccadilly Theatre with Patrick Swayze, The Girl in a national tour of Andrew Lloyd Webber and Don Black's musical Tell Me on a Sunday, Paulette in the first UK tour of Legally Blonde, and she played the eponymous role in the UK tour of Educating Rita with Matthew Kelly. Claire is currently starring as Velma Von Tussle in the UK tour of Hairspray. At the King’s Theatre Glasgow from Wednesday 19 until Saturday 29 October, Claire Sweeney will join Jason Manford (The Producers, Sweeney Todd) as Caractacus Potts, Phill Jupitus (The Producers, Hairspray) as Lord Scrumptious and Baron Bomburst and Andy Hockley (The Phantom Of The Opera) as Grandpa Potts.